You’ve probably heard of Dieter Rams’ principles of good design – the ever reliable guide for budding and pro graphic designers. It’s a classic and so helpful, we even made a previous post dedicated to Mr. Rams and his principles of good design. Looking at much of the past and classic logo designs, you’ll notice that much of them are straight-up designs that require no less than five seconds to identify (regardless of your age). This means that they have lived up to their purposes since their creation – to serve as identities and brands for their respective companies and corporations. In an earlier article about Dieter Rams’ principles of good design, we’ve mentioned three principles are especially relevant to logo design – Good design is unobtrusive and well-designed, is long-lasting, and, most importantly, is as little design as possible. These three principles are present in different classic logos that are still in use today. When you’re creating a logo for a company, there are only three things you have to focus on – the company icon, name, and color. If you’re going to use more other than these three, chances are, you’ll confuse the company’s market with a lousy and misleading logo design. In most cases, these three elements are already provided but need refinement or a creative touch to make them more appealing to a market. Company Icon – this not necessarily the company’s logo. It’s a symbol that can be easily associated with a longstanding industry, i.e., WiFi or network signals for telecom companies. An icon may also represent a philosophy or ideal that comes from the quality of service or product that a company provides, i.e., moving arrows or horizontal lines, etc. Company Name – Most companies will want their name included within the logo. Of course, that’s the brand name that people will speak of every time they are pleased or satisfied by a service or product of the company. There are companies, though, that want diversity and adaptability in their logo’s design – something that all designers must incorporate in their process. Company Colors – The colors used by a company are important identifiers for their brand. That’s why logo designers always incorporate the company colors on the logo’s design. Colors used in branding and identity also provide psychological effects on the consumers. In a previous article, we’ve pointed out how important color is in a logo design. Creating a minimalist logo allows you to explore your creative process. Just like any graphic designer, you should invest on how you approach your project. Consider limiting your project’s design to a minimum as a challenge. This will allow you to focus on the minor yet relevant details on the design. 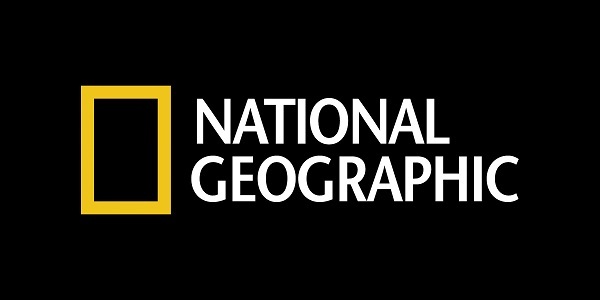 You can take examples from minimalist logos such as IBM, Apple, and Nat Geo – from these three take note of the small details on their logo – from IBM’s horizontal lines, to the bite on Apple’s logo, and Nat Geo’s yellow window. These examples and their respective details provide a unique touch to the overall design. In most cases, they’re the key identifying element on these companies’ logos. Having less elements on a logo design will help you focus your creative process on the function of the logo. This will allow you to create a more focused brand and identity for the company you’re working with, as the logo you designed will appear in their stationery, such as letterheads, and in their products. If you’ve got logo design tips you’d like to share with us, or some interesting logo design facts, just hit us up via Facebook or Twitter.